VENICE, ITALY - SEPT 2014: Venice Italy narrow dark canal small boat 4K. Night view. World Heritage Site. Small islands separated by canals and bridges along the lagoon. Homes apartments. 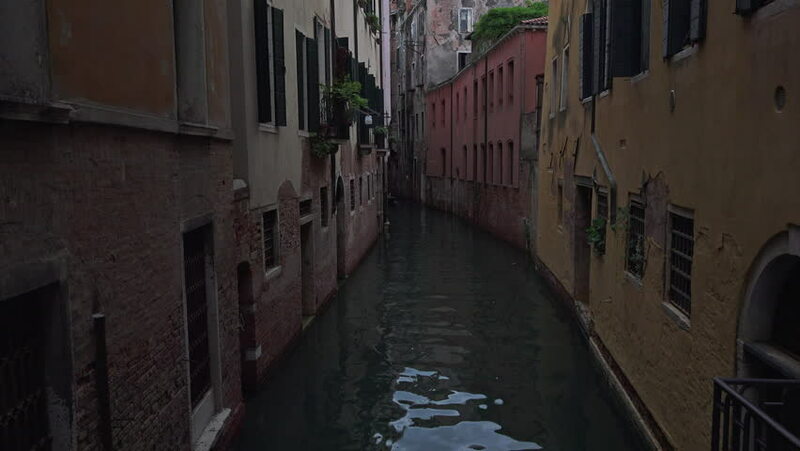 4k00:26VENICE, ITALY - SEPT 2014: Venice Italy narrow dark canal. Major tourist travel vacation destination by air and cruise ship. World Heritage Site. Boats, gondola, water taxi, and motorboats. Romantic. 4k00:19Toledo, Spain - April, 2017: The Cathedral bell tower seen from Calle Santa Isabel. 4k00:14Aerial view: drone flying throught beautiful old european street, Rome, Italy. Old, vintage windows, sky.